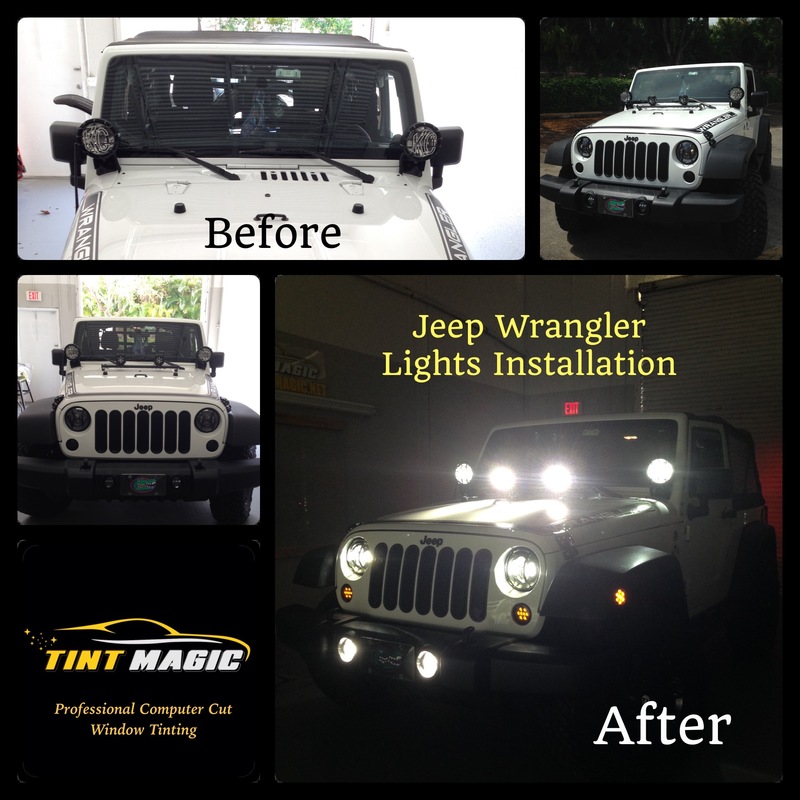 Tint Magic Window Tint Coral Springs, is not just window tinting, we do any electronic installation for your vehicle, even if you bring your products to the shop or we order for you from our vendors. Just call us and let us know how we can serve you (954) 840-7883. Location: 11344 Wiles Road Coral Springs, Fl 33076 ( located at 2 blocks east from Coral Ridge Drive). Few modern vehicles have the iconic status of the Wrangler, and thus any clean-sheet redesign is approached with a mixture of reverence and skepticism. The fanboys all want to know if Jeep will give up on the Wrangler’s tried-and-true formula—rugged ladder frame, proper four-wheel drive with low range, and a pair of solid axles—while the rest of the world wonders how Jeep can stick to its guns while also embracing modern fuel-economy realities. We’ve ascertained that the new Wrangler won’t be the radical departure the hard-core fans feared, as it will keep its solid front and rear axles, four-wheel drive, and body on frame construction. However, that body could be at least partially rendered from aluminum, and you can bet the stout frame will get stronger yet lighter. So far the only Wrangler feature to fall on its sword is the fold down windshield, a novelty that, it’s suggested, goes unnoticed by all but the most fervent Jeep owners. The Wrangler’s underbody situation is markedly familiar, with coil-suspended Dana axles at each end—the rear axle, currently a Dana 44 piece, is unmarked and features a new differential casing we haven’t seen before but we suspect is still a Dana model—and a boxed frame. We’ve heard some rumors of a longer wheelbase being part of the next Wrangler’s plan, with most of the speculation driven by the prototypes’ vertical strip between the front fenders and the base of the windshield. Indeed, this apparent body modification is present on the prototypes pictured here, but close visual comparisons between them and the current Wrangler indicate no change in wheelbase. Just look at the running boards, which fit nicely—and would be a curious component to modify for an engineering mule.